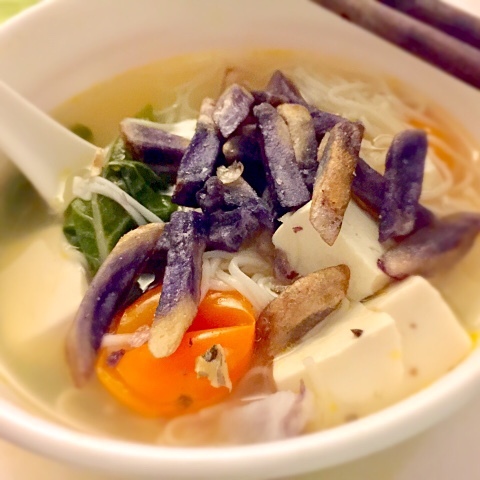 How to cook Red Snapper Mee Sua Soup with Jagabee Purple Potato? I was sharing with you that I had recently gone for my wisdom teeth surgery and today is Day 7. 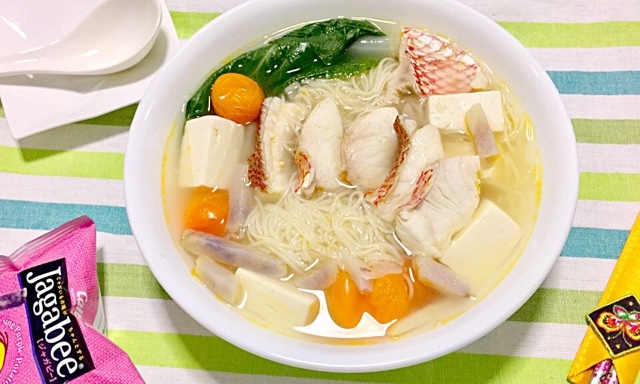 One of the Singapore Home Cooks member suggested that I cook Fish Mee Sua and it is such a fantastic idea! I also had a craving for yam so I decided to use Jagabee Purple Potatoes as a substitute and it turned out to be very delicious! 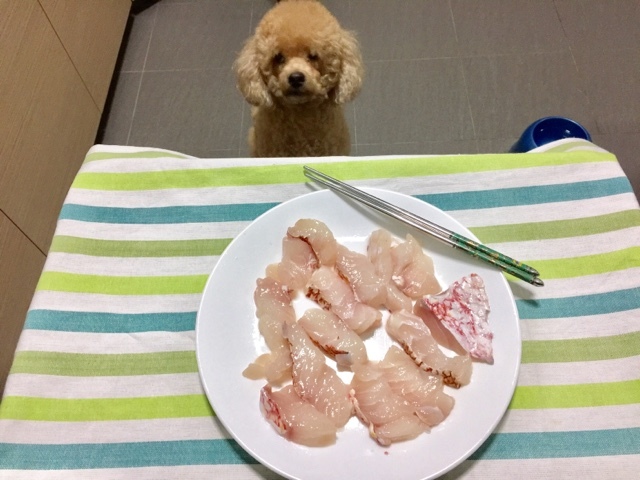 I massaged the fish with salt and rinsed it thoroughly to remove any fishy smell and to kill some germs. Tip: It is very important to try your best to slice the Red Snapper into equal thickness so that they will be cooked around the same time. I sprinkled 1-2 teaspoons of salt and marinated the fish. This is to further ensure that my fish will taste fresh and not smelly. I then put the fish in the fridge while I prepared the other ingredients. 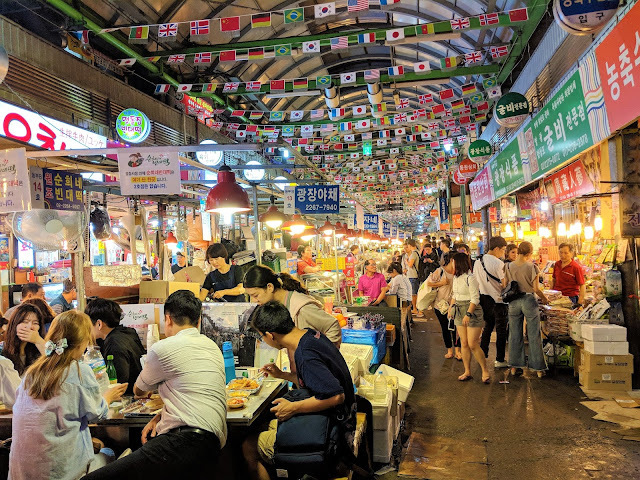 I always use Dried Anchovies (small ones) to make the base for my fish or fishball soup because I try to avoid processed chicken stock or MSG as much as possible. 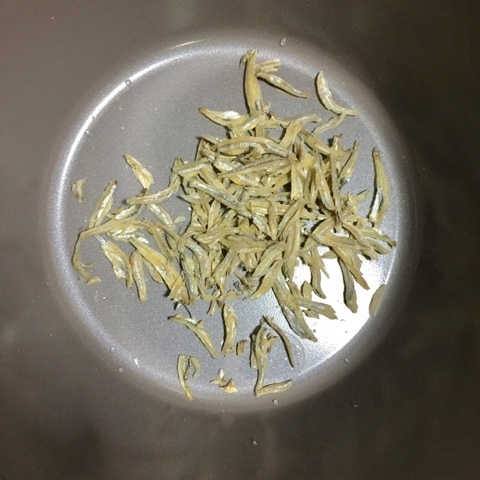 You will be surprised at how much flavour Dried Anchovies can provide as a base. If you want to further enhance the flavour of your soup, you can fry some garlic, onions with the anchovies before adding water. I placed two handfuls of Dried Split Fish, Siken Tofu and tomatoes into my pot. The type of pot you choose for soup is very important. 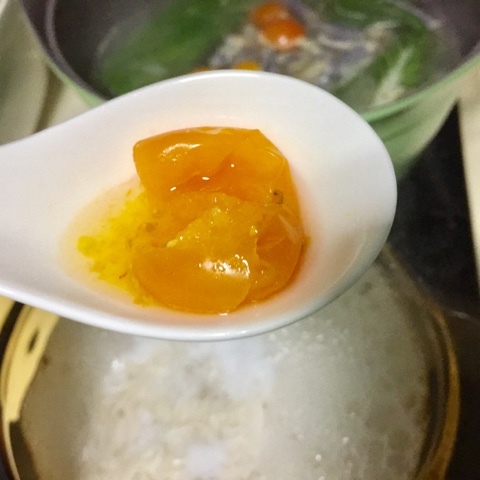 Some pots are able to extract a lot of flavours from the ingredients. Today, I used Neoflam pot since the cooking time is very short. 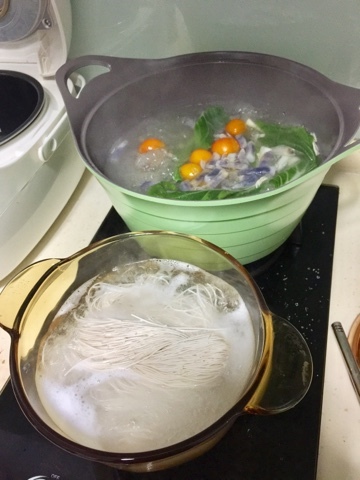 For longer cooking time like herbal soups, I used Vision Glass pot. Rice cooker is the best in terms of flavours but it is very difficult to wash. 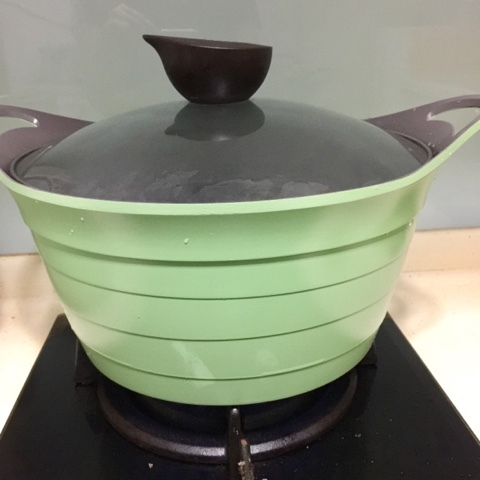 The Neoflam pot claims to use a natural coating for its non-stick feature and I believe that the tiny opening at the knob contributes to it being able to extract as many flavours from the ingredients in a soup as possible. Next, I poured Tap Water into the pot and turned the stove to high flame until it was boiling. Do not ever use boiling hot water initially for cooking any type of soups. All TCM practitioners will tell you to use tap water because boiling water destroys all the nutrients. Based on my own experience, using tap water makes the soup more flavourful. Once the water had boiled, I turned the stove to a low simmer and boiled it for 15 minutes. I used the time to wash the vegetables and cut them. 15 minutes later, I put 2 packets of Jagabee Purple Potato and vegetables into the pot. I also scooped the tomatoes and squashed the tomatoes juice out with a metal spoon. A good fish soup tastes tangy. 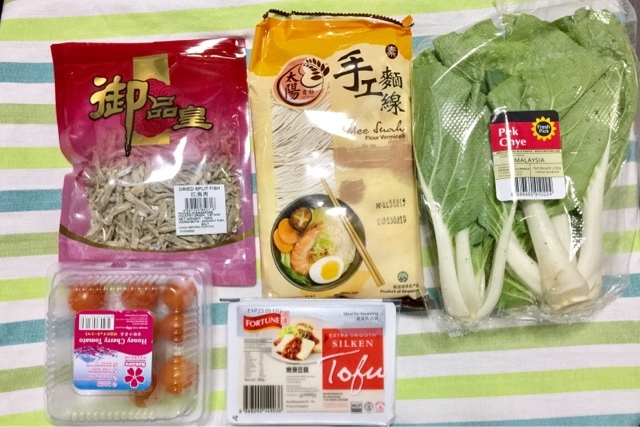 How to cook Mee Sua? Mee Sua has a terrible weird taste. If you like the weird taste, you can cook the Mee Sua in the soup directly. Otherwise, you must cook it separately. I cooked the Mee Sua in another pot for around 1 minute. Mee Sua is cooked very quickly. 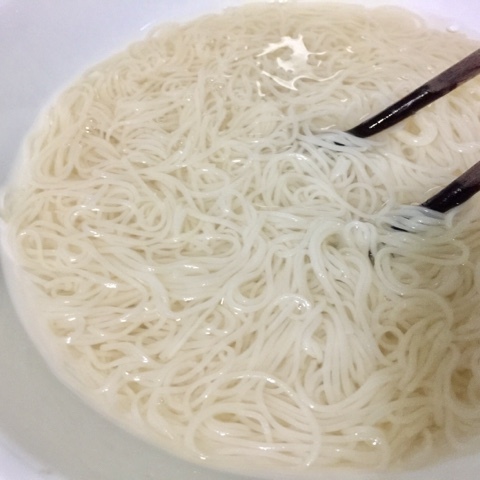 I then transferred all the Mee Sua into another bowl and wash it in tap water to further remove the weird smell. I then drained the Mee Sua of any excess water. 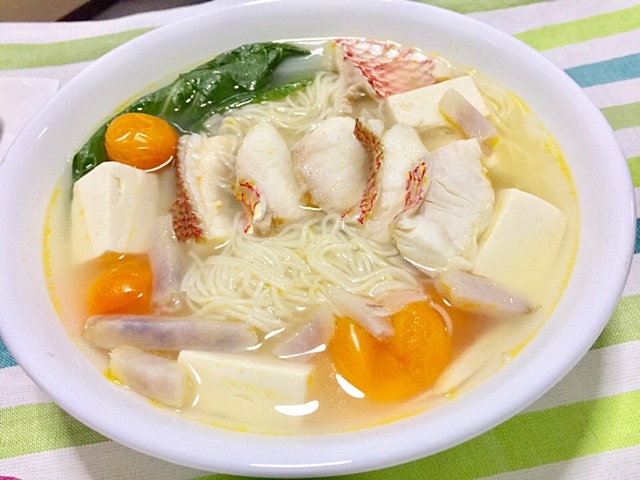 Finally, it was time to place all the Red Snapper slices into the bubbling soup at the same time. It took at most 5 minutes to cook the fish. Once the fish were cooked, I placed the Mee Sua onto my serving bowl and added the fish soup with all the yummy ingredients. Once plated, I sprinkled some white pepper on the soup. Yums! 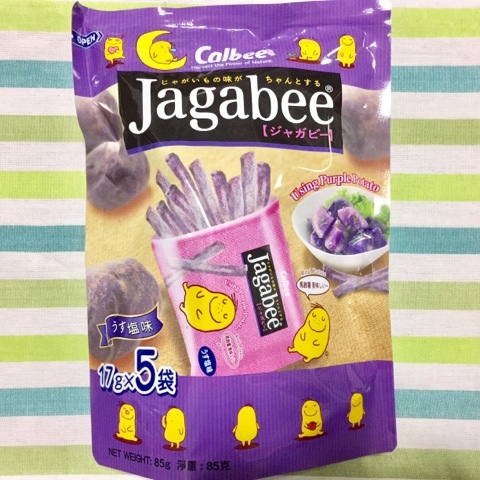 Amazingly, the Jagabee Purple Potatoes tasted absolutely soft and delicious! The Red Snapper was extremely fresh. The soup also had the sweetness of the fish and the tanginess from the tomatoes. I added some crispy ones straight from the packet! If you enjoy what you enjoy what you have read, please Like, Follow and Share my FB Page! It will perk me up!